As an idealistic English teacher at Wilson High School in Long Beach, California, Erin Gruwell confronted a room of "unteachable, at-risk" students. She and her students, using the treasured books Anne Frank: The Diary of a Young Girl and Zlata's Diary: A Child's Life in Sarajevo as their guides, undertook a life-changing odyssey against intolerance and misunderstanding. As an idealistic English teacher at Wilson High School in Long Beach, California, Erin Gruwell confronted a room of "unteachable, at-risk" students. She and her students, using the treasured books Anne Frank: The Diary of a Young Girl and Zlata's Diary: A Child's Life in Sarajevo as their guides, undertook a life-changing odyssey against intolerance and misunderstanding. 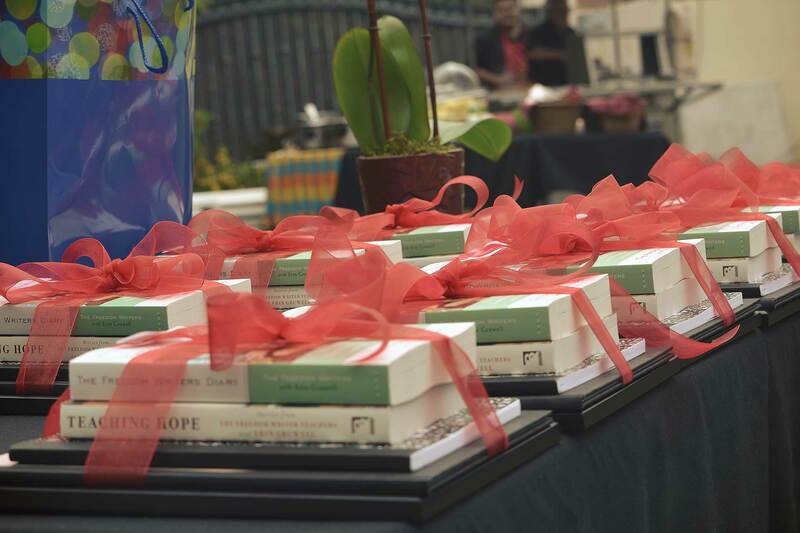 They learned to see the parallels in these books to their own lives, recording their thoughts and feelings in diaries and dubbing themselves the "Freedom Writers" in homage to the civil rights activists "The Freedom Riders." 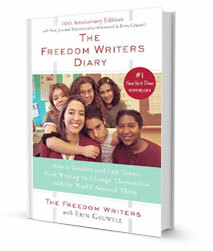 With powerful entries from the students' own diaries and a narrative text by Erin Gruwell, The Freedom Writers Diary is an uplifting, unforgettable example of how hard work, courage, and the spirit of determination changed the lives of a teacher and her students.